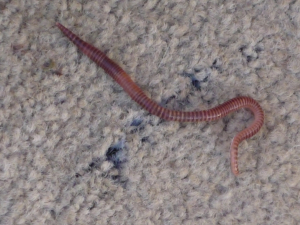 Observation - Earthworm ?? - UK and Ireland. Description: This was found in a carpet mat I have in my conservatory, which was damp. It was about 4inchs long. This was found in a carpet mat I have in my conservatory, which was damp. It was about 4inchs long.